Cal Fire investigators have determined a vehicle started last summer’s Chimney Fire that burned more than 46,000 acres near Lake Nacimiento and destroyed about 50 homes. 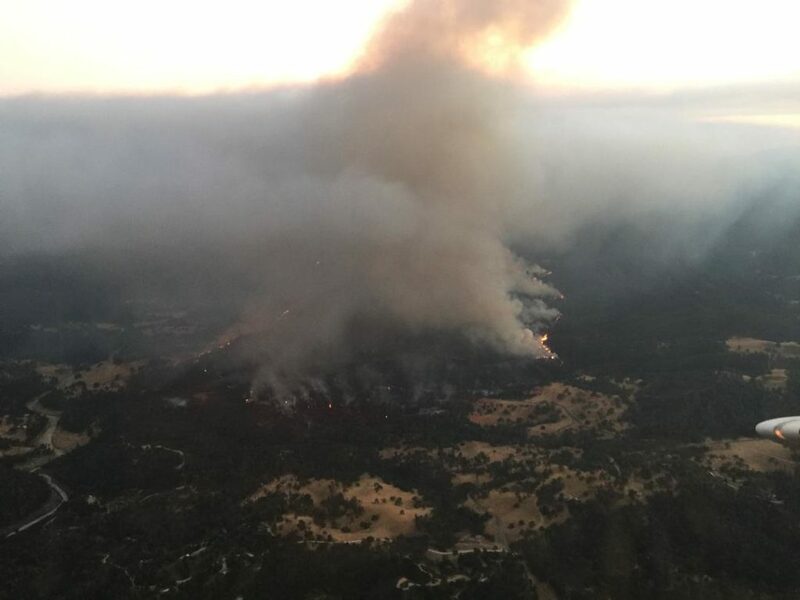 A vehicle driving on a dirt road south of the lake near Running Deer Road and Chimney Rock Road ignited the blaze at 4:03 p.m. on Aug. 13, according to Cal Fire. The vehicle coming in contact with dry grass was the sole cause of the blaze, a Cal Fire news release states. The Chimney Fire, which lasted more than three weeks, burned 46,344 acres. It destroyed 49 homes and 21 outbuildings and damaged eight other structures. For more than a week, the Chimney Fire threatened Hearst Castle, shutting down public access to the historical landmark from Aug. 20 to Aug. 28. Fire official declared the Chimney Fire totally contained on Sept. 6. It required several thousand fire personnel to contain the blaze. KSBY reports Cal Fire has located the driver who started the Chimney Fire. The individual is cooperating with investigators, and authorities will not file charges against the person. Investigators managed to find the driver after speaking with a farmer who had seen the vehicle. Fire personnel then determined who the driver was by process of elimination. Not filing charges? Was the “process of elimination” used because it was a company vehicle with a logo on it and they had to find out which employee was driving it? This lack of information sounds like they are trying to protect somebody important. We were so grateful to SLO Stinger for providing the most up to the minute information and photos. He was our source for staying abreast of what was happening during a tense and stressful situation. Thank you Matthew, well done.